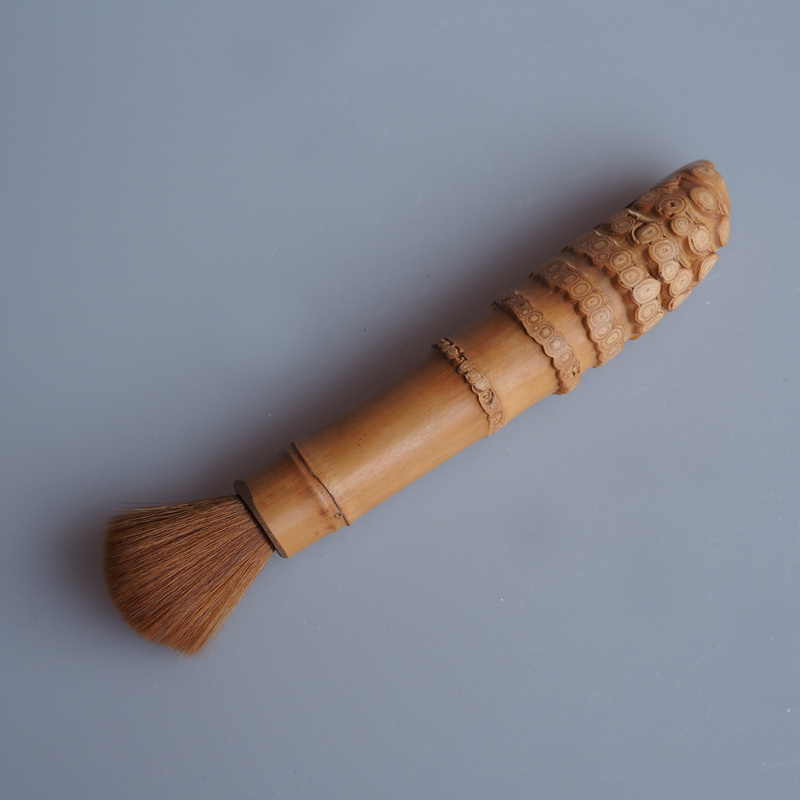 This beautiful brush is made for cleaning the inside of the teapot. 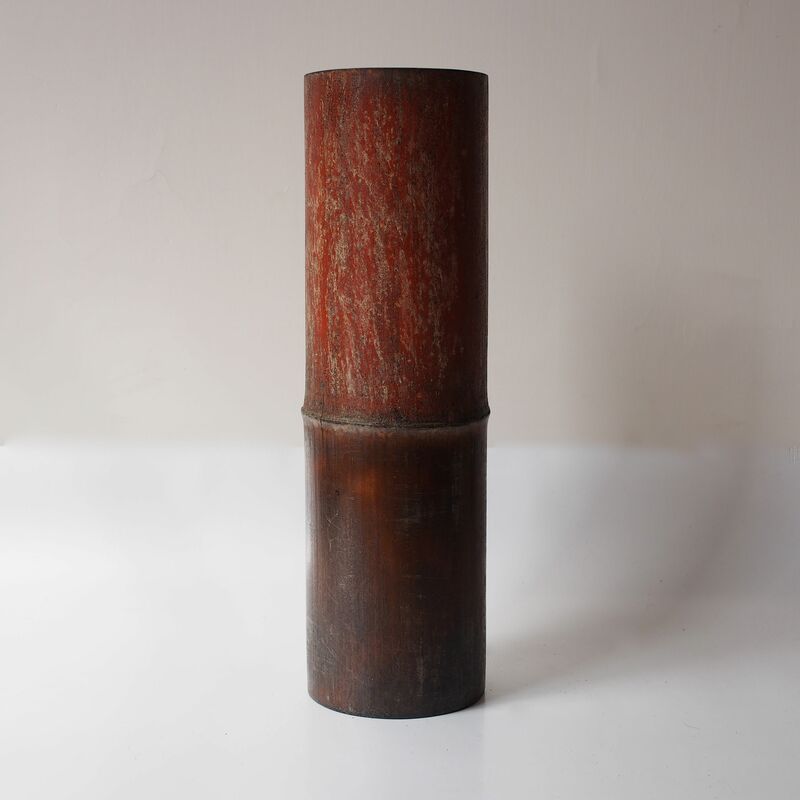 I am in love with the bamboo handle so I am using it for dusting my keyboard etc, but for the tea connoisseur it is an essential item for up keeping the teapot. The brush is used to remove any small pieces of tea leaves, for picking up the moisture left in the pot. For cleaning the hard to get to places and to give a slight polish to the pot. 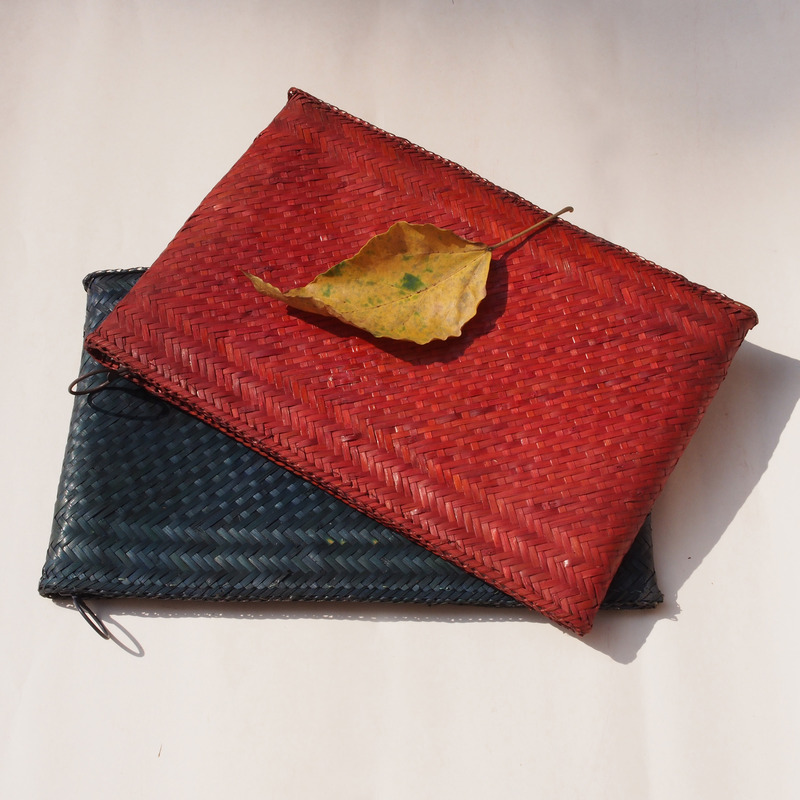 The leave fell onto the bamboo folders just as we were taking photos of them. The colour cannot be better matched! 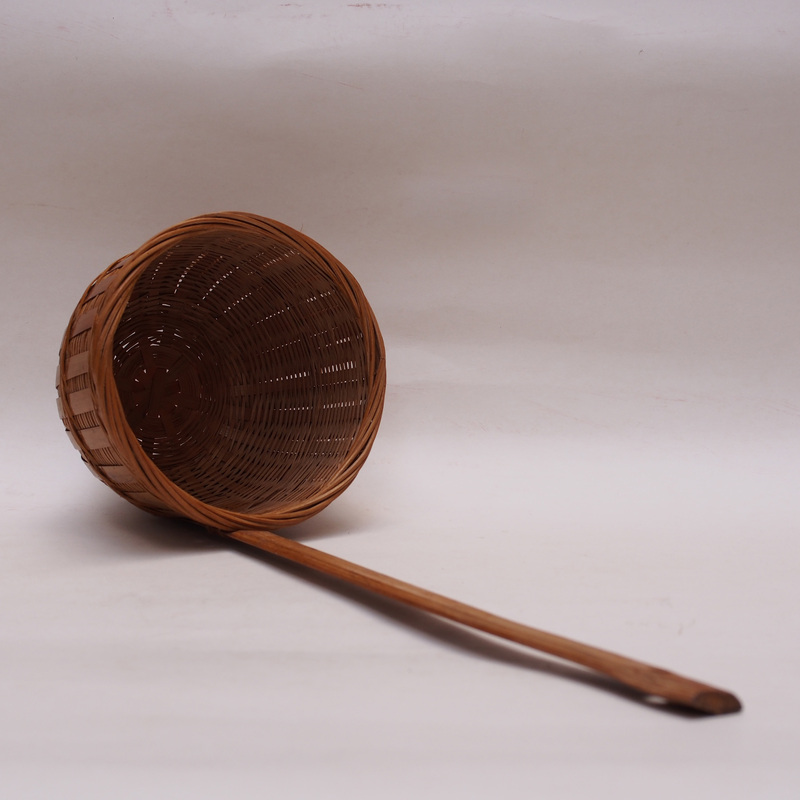 A bamboo basket constructed by large bamboo strips rather then the weaving method. 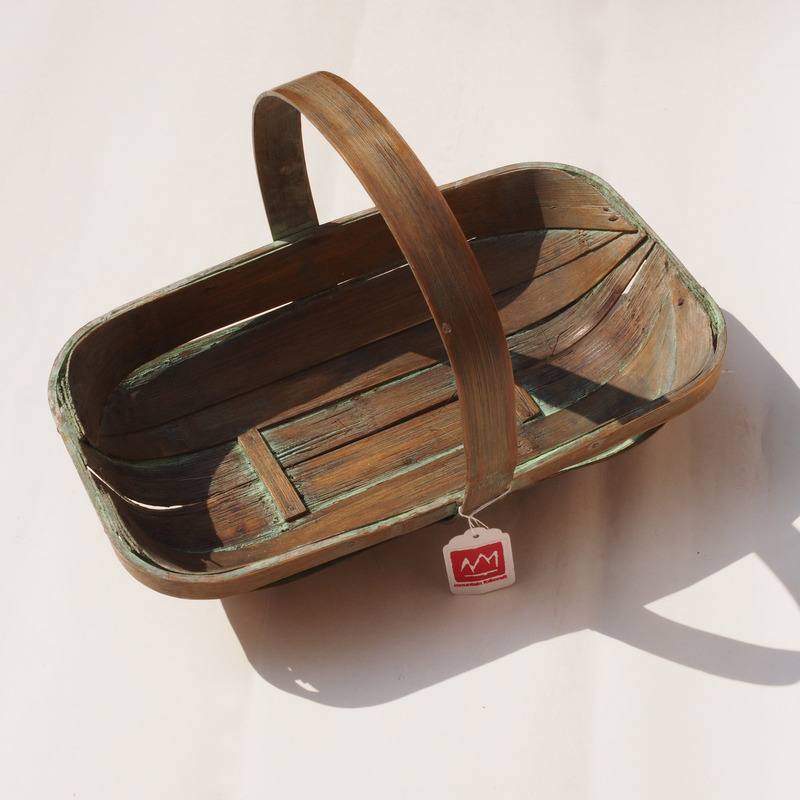 This gives the basket a much bolder and simplistic style. 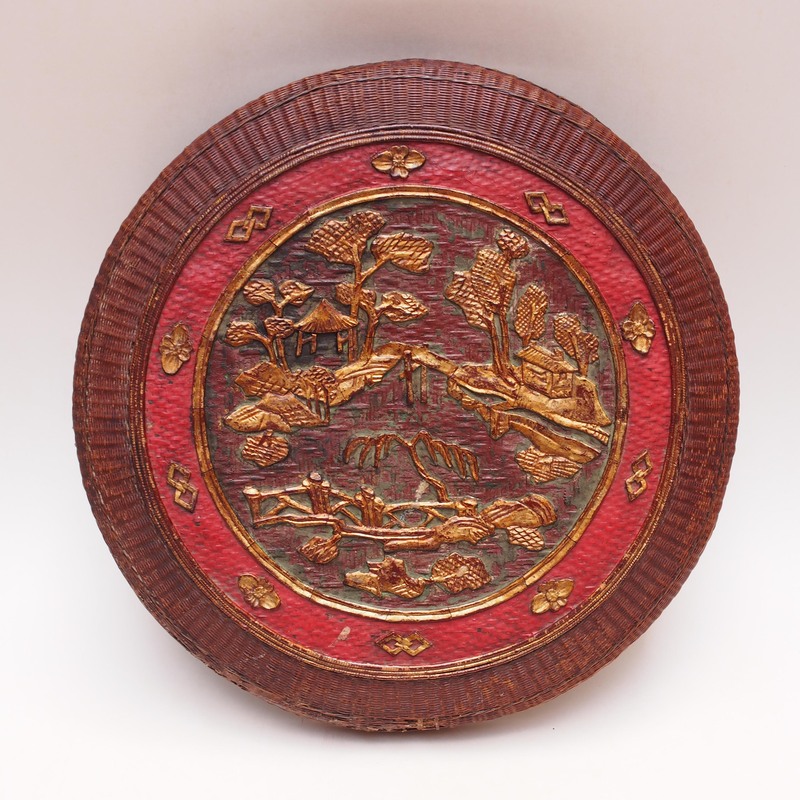 A bamboo weaved lid that would have belonged to a bamboo stacking basket in the Jiang Su area. The baskets would have come in pairs and carried with a shoulder pole with one at each end. Almost like a triple decker hamper, the basket has 3 trays stacking over each other. Used only in special occasions and festivals, its a container for seasonal gifts from the suitor to the girl’s family he is trying to proposed. At the engagement, baskets of sesame cakes will be delivered to the bride to be which will be distributed to her relatives. At the wedding day, varies gifts will be sent over to the brides family from the groom. It does not end there with the wedding for these baskets; when a child is born, relatives will send with these baskets 6 different dishes to replenish the new mother, braised pork, stew fish, chicken, eggs, roast peanuts and a vegetable dish. 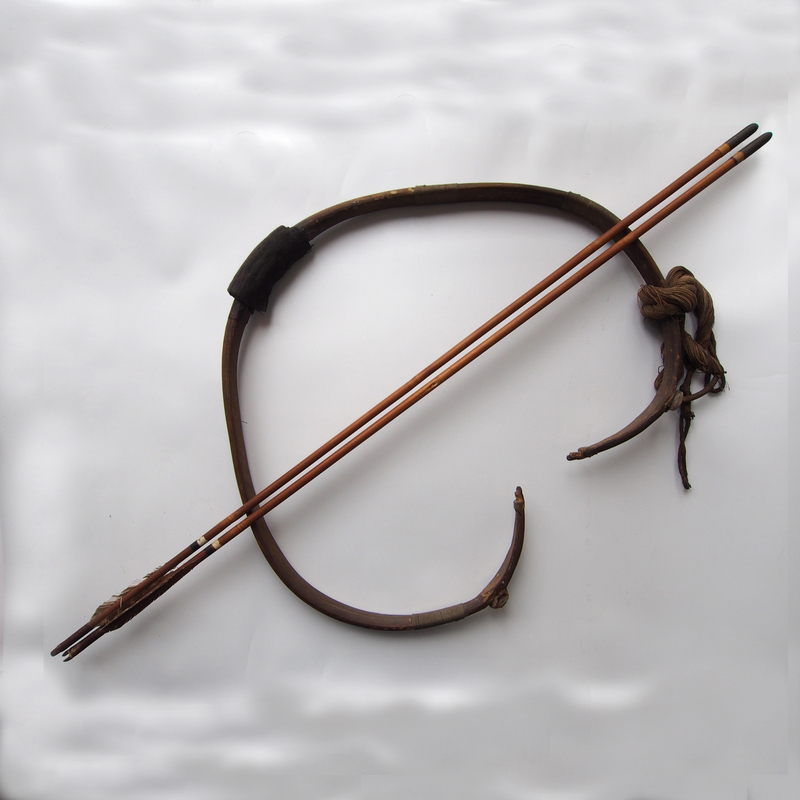 Archery has been an important weapon in Korea, known as the Gak Gung, the bow is made with a composite of buffalo horns, bamboo and other material. 東夷 Dong Yi is the name Korean are referred to by the Chinese, the word 夷 is a combination of the word 大 (big) and the word 弓 (bow); it does seem that the Chinese has been wary of this powerful weapon. In the Korean legends, the first Korean king Go Jumong could hit 5 flies in one arrow, King Park Hyeokgeose can shoot the bow as far as China (the ancient day missile)! One can see in this video that the construction of the Gak Gung is very established and specific. 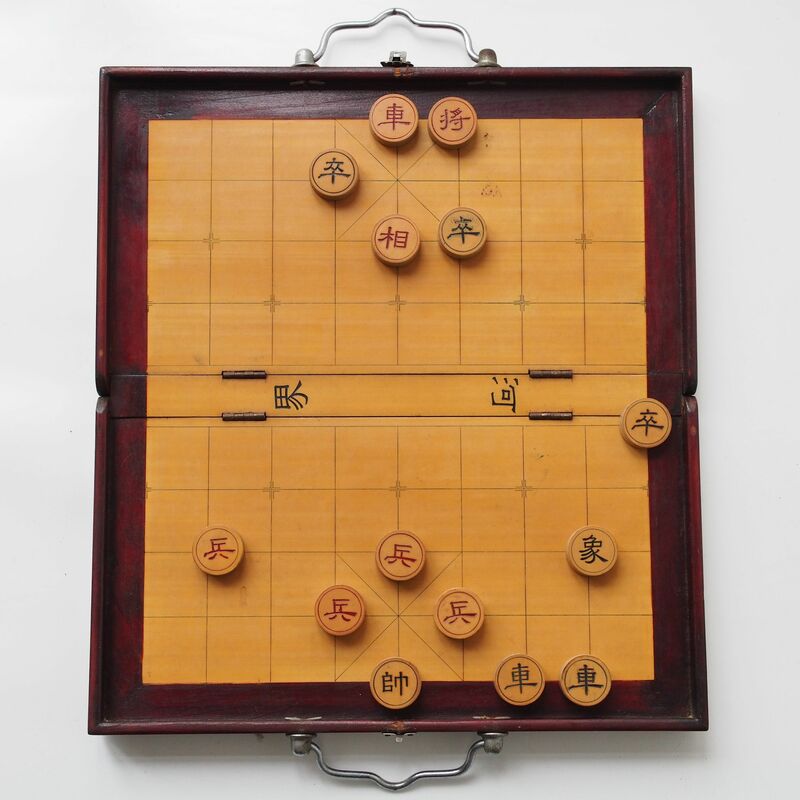 The Chinese chess is a popular game since the Warring State period 1600BC and today major tournaments are held across China and it is a major past time for many. Chariots – 車, a powerful piece (move in a vertical or horizontal straight line and more restricted to one node at a time. From these rules, and the popularity of the game, there are some idioms basing on the game of chess. 事急馬行田 – “urgent! the horse will need to across the field” – normally, the horse moves in a 日 sun fashion and the elephant in a 田 field, but being so desperate the horse will need to forfeit its usual move and do the field. 放馬後炮 – “putting the cannon behind the horse” – a powerful move, the horse enters the opponent’s palace and restricting the general from moving to either side, then the cannon come in and checkmate. the idiom refers to those comments after checkmate. 飛象過河 – “elephant fly across the river” – as the elephant is forbidden to cross the river, it refers to those who dont follow the rules. There is a long history for domesticated elephant in Thailand; with the strength the elephants can offer, they are captured from the wild and trained (a bit like the domestication of horses and dogs). 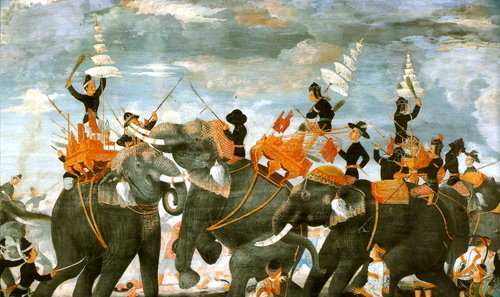 The white elephants were offered to the King and worshiped, some were trained to be fighting elephants, as the one used by Queen Suriyothai’s carrier in the war with the Burmese in 1548AD. Others were trained to be laborers for the forestry, pulling logs from the mountain down to the river. To track the elephants, bells were put around their neck so they can be heard in the forest. 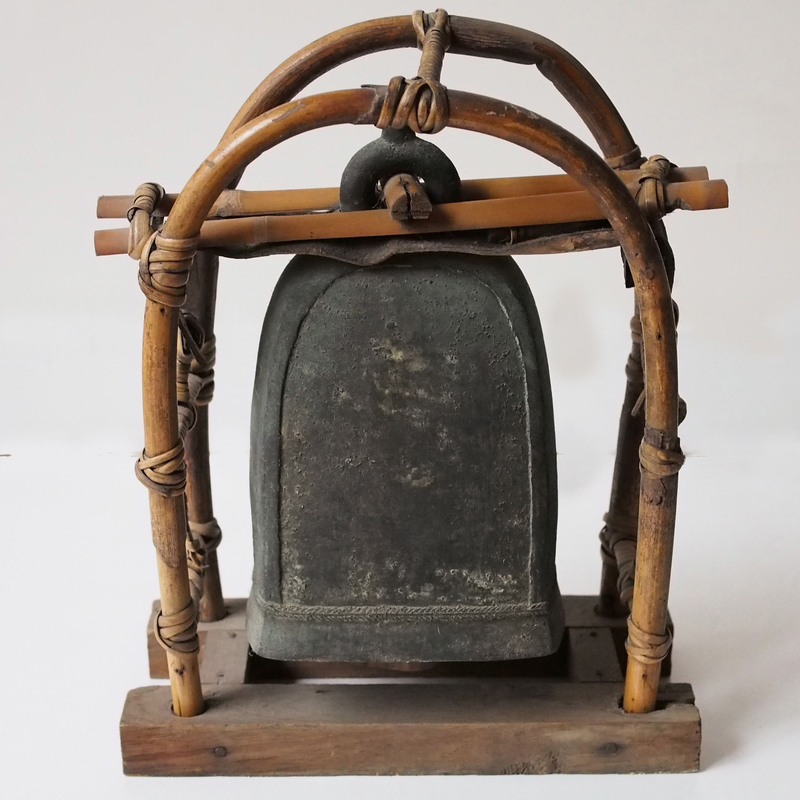 Here is a Thai folk tale about a boy and an elephant bell. Once upon at time, there is a poor boy despite of his lack of education he was taught the virtue of respect. One day the boy was lost in the forest, he wandered fearfully and came face to came with a full grown elephant. The huge elephant was strolling peacefully munching banana and other fruits. Judging by the size of the elephant, the boy thought the elephant must be thousands of years old and must be respected, he kneeled and bowed giving his respect to the animal. Touched by the act the elephant helped him to find his way home, then the elephant said to the little boy, “Here is a bell given to me by the King of the Elephants, ring it if you are in trouble and the other elephants will come to help you.” Then one day, the boy and his father were in the forests collecting wood for the fire. Lighting strike and they became stuck by a fallen tree. The boy remembered the elephant’s word and rang the bell, soon a herd of elephants came and lift the fallen tree and relieved them. At the same time, the wild elephant who gave him the bell was captured and being trained as a fighting elephant. Unsuited to his general temperment, the elephant snapped, killed his mahout trainer and destroyed the village. The news reached the King and the troops were sent to kill the elephant, when the boy heard the news he volunteer to go to tamed the elephant in exchange for him to be free. As he entered the village, the elephant charged for an attack. The boy generally kneel and bowed as he did before, as he rang the bell, the elephant remembered him and came close to him. The elephant calmed down and followed him to meet with the King who kept his word and the elephant was free. What we need today is respect for these animals. Three beautiful films by Gregory Colbert. Birdcages from China can be classified broadly into the northern and the southern type. 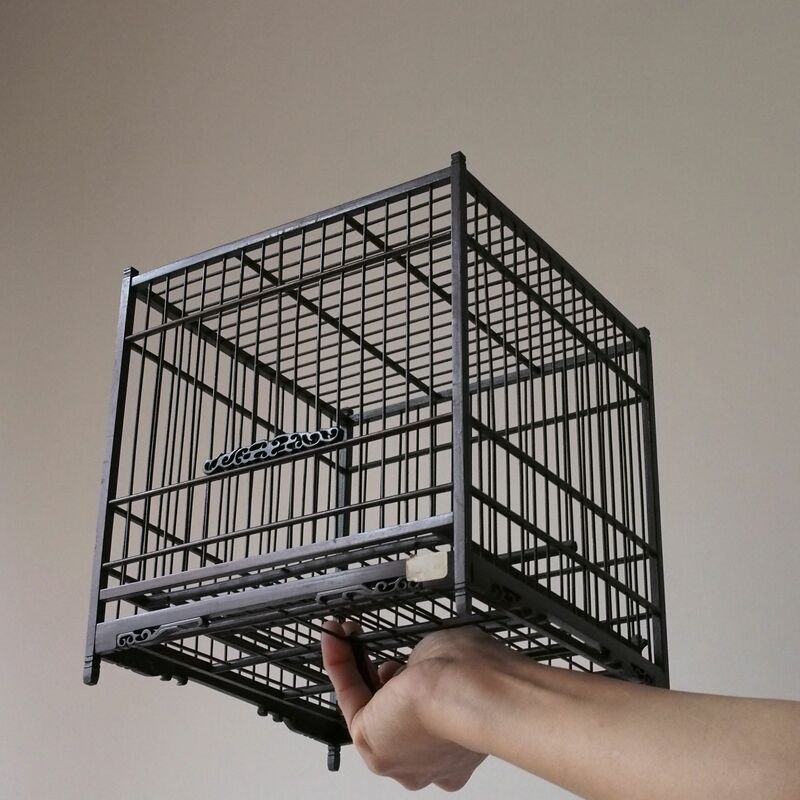 This distinction by region can also be seen in the shape of the cages as well; northern birdcages are typically circular with a flat top, known as the Tianjin style, the southern types are cubic in shape with the bottom slightly larger than the top, known as the Suzhou style. Suzhou is a province with Gangnam, so I guess we can say this is Gangnam Style. In the old days birds are probably a more common pet for the Chinese than dogs and cats (who has a duty to guard or to catch mice), birds are there just for appreciation. The birdcages are the habitat, carrier as well as the stage for the birds. Their light mobility provide the bird with different settings; on the table, hang on the beam, on tree, transported to the teahouse of the park to meet other birds, etc, etc. A very sweet film about a bird, though it is cage it is not held captive. The fledgling was found fallen off its nest and its feather was damaged, unable to fly. For a few days it was kept in a birdcage for the feather to recover, as if the intention has been understood, the mother came constantly to feed her young in the cage. Then second video is when the bird was released and successfully flew. A bamboo sculpture by the Hong Kong artist Bik Cheun Ha (1925-2009). He started his career as a craft artisan, for his love of creation he became as self taught contemporary artist. The Hong Kong Museum of Art featured a retrospective exhibition -“From Common to Uncommon – the Legend of Ha Bik-chuen” in 2011.